My Soothanol X2 Review – Scam Or Legit? So at almost $50 per bottle, there are high chances to be another hoax. Well – I tried Soothanol X2 some time ago, so I can give you all the hidden facts about it. Let’s find out if it’s a scam or not. Note: This review is based on my experience + opinion on Soothanol X2. I’m not trying to praise/criticize it or its company for no reason. However – that’s just on paper. Its real effect might be totally different. My Rating: 4 out of 10 – It works partially, but it’s so pricey. So instead of a cream – I advise you to use a supplement, because its benefits are a lot more. Plus, it’s usually cheaper. Briefly – it’s a pain relieving liquid made by North Star Nutritionals. First of all, I tried some other products from this company (SynerFlex and LunaFlex PM) – and I wasn’t satisfied at all. A website that looks like a personal letter. It tries to convince you using emotional promises. It doesn’t focus on the product at all. Now – I’m sure DMSO is a good ingredient, considering it has some studies behind. It’s not involved in this product’s therapeutic effect. It doesn’t have any major benefit here. So to me – that’s the best proof that Soothanol X2’s promises are not as real as they seem. Now that you know these aspects, it’s time to analyze it closely. For a topical pain reliever – Soothanol’s ingredients aren’t too bad. Claims to contain 12 “amazing” ingredients for pain relief. However – only 2 of them are active ingredients. The other 10 are inactive. So basically – out of the 12 substances, only 2 can have any effect on pain. For me it’s pretty clear that this formula isn’t as amazing as it claims. Normally – this is an ingredient I don’t really like, for 1 reason: ALL TOPICAL PRODUCTS USE IT. However, in Soothanol X2 it has a very high concentration (12% vs less than 5% in some products). However – in many cases, it works by numbing the area where you apply it. And that is a big downside (at least for me). That’s Soothanol’s second active ingredient – and I personally like it. So basically – it’s quite the opposite of menthol. It works due to heat, while menthol freezes the painful spot. This list includes herbs like Arnica, Calendula, DMSO (which they praise so much on the official website), Emu Oil, Extra Virgin Olive Oil, MSM, Wintergreen Oil. But keep in that they’re inactive, because this is essential. For this reason – don’t let Soothanol’s official website trick you. These ingredients can’t do anything for the pain – no matter how amazing they are. Since they’re inactive – they have no real effect. Soothanol’s ingredients look pretty good (especially because of capsaicin). However – I hate their claims about the formula, since most of the ingredients they praise are inactive. So the ingredients aren’t as amazing as they say – because most are inactive, so they have no real effect. From this point of view, I really liked Soothanol X2. Very liquid – so it’s really easy to apply. Smells like peppermint and wintergreen. Smell is indeed pretty powerful (last for at least 1 hour). You only need to apply a few drops. Now – Soothanol’s scent isn’t the best one I’ve seen in a topical product. But compared to others, it’s tolerable and not so intense. Also – the liquid itself is transparent and very light, so it doesn’t leave your skin greasy. Here’s another strong point of Soothanol – it’s really easy to use. Wash your hands and the affected area. Apply 2-3 drops on the painful spot. Spread the liquid and massage. The pain should decrease within a few minutes. Plus – the labels recommends using it for at most 3-4 times a day. This means you would use 12 drops per day (in the worst case). That’s pretty decent – even for a cream. Now – why I say it’s uncomfortable? Well – it means washing your hands and the area again, massaging and getting your hands dirty again, etc. In my opinion, it’s a lot more complicated than swallowing a pill (which you would only do 1-2 times a day). That’s the only problem I could find here. Overall – I was quite surprised by Soothanol X2 (in the positive way). It surely worked better than I personally expected. 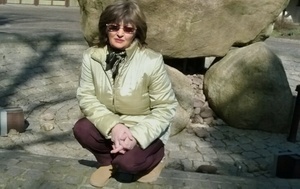 Other than that – I also had osteoarthritis in my knees, but that pain wasn’t as bad as in RA. It was more of a flexibility problem. Now – throughout the years, I tried lots of supplements and creams for my pain. There were some that really helped, but most didn’t. So I had the chance to test out Soothanol X2 as well – here are my results. I could see an improvement in my pain in about 10-15 minutes. It would get from a 6 to about a 4 (approximately). This improvement would last about 2-3 hours. It never decreased my pain completely. Also, there was no change in my stiffness or flexibility. Basically – this liquid really decreased my pain (and very past). But the improvement wasn’t a major one, even after using it for weeks. Plus, the effect didn’t last more than in other topical products (like Blue Emu) – so I would have to reapply it quite often. Soothanol X2 really works – it’s surely not a scam (as I first thought). However, it doesn’t relieve the pain completely – nor for a long while. So if you have a minor pain, it should work really well. But for arthritis or a chronic pain – I definitely recommend a supplement, it works way better. Good news here – Soothanol X2 has lots of reviews that seem authentic. Now – I wouldn’t recommend you to look at the reviews on their official website (they tend to be biased). However, there are plenty on websites like Amazon – which are usually authentic. So let’s take a quick look at what people say about this product. Some said it works much faster than other (creams). 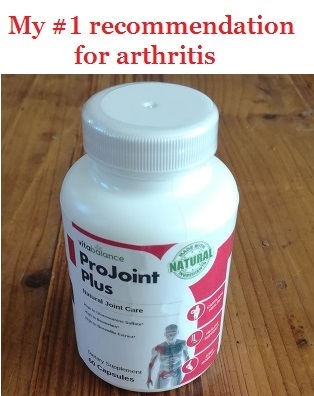 Others claim it works for both arthritis and cramps. Few even call it the best thing on the market. So basically – there are many positive opinions, which is great. It means this product isn’t a scam at all (as I first thought). However, there are enough negative reviews about it as well. They say it doesn’t relieve pain too well. Some say it only burns and stings for hours. Others say you must wash your hands really well after using it. According to them – otherwise touching any part of your body will hurt terribly. There are some that complain about the really high price. Overall – my opinion is that this cream only works for some people. For the others, it causes a really bad burning sensation – that does anything but soothing the pain. Plus, I agree with people complaining that it’s expensive. After all, it costs $50 for 1 oz – which is huge. Soothanol X2 works for some people – but for others, it only increases the pain (because it burns the painful part). Considering there are enough unsatisfied customer, I’m sure the negative reviews aren’t fake. So even though it worked decently for me – I’m still not a fan of Soothanol, after reading all these opinions. To be honest – it’s one of the priciest topical products I’ve seen (together with Arctic Blast and Patriot Flex). Surprisingly – Soothanol’s price doesn’t depend a lot on the seller. It costs around $50 per bottle. The quantity is only 1 oz. Now – that’s is extremely expensive overall. It’s true that you only need to use a few drops per day – so one bottle is going to last more than 1 month. But even so, paying $50 for 1 oz seems unacceptable to me. Fortunately, Soothanol X2 is available on several retailers. Now – official websites usually offer discounts when you buy several bottles together. Regarding Amazon – this product has several sellers, but most don’t offer free shipping. Overall – Soothanol X2 is one of the priciest topical products I used (especially at this quantity). Besides – its website doesn’t offer you any discount, even if you buy 10 bottles together. So I would surely not recommend paying so much money on this product. Here are the most common questions you might have about this product. I tried to give a clear answer. Note: I might repeat something I already said, but it’s easier to spot here. 1. How often do you need to apply it? According to the label – not more than 3-4 times per day. Also, it recommends using about 2-3 drops every time – which means at most 12 drops a day. 2. How long lasts 1 bottle? But normally – it should last for at least 2 months, if not more. 3. Are there any side effects? These might count as side effects. Also – I found many reviews of people complaining about a really bad burning sensation. Other than that, I don’t think it can cause any other side effects (like internal ones). 4. How fast should I notice an effect? Within minutes – up to an hour. Soothanol X2 claims to be an instant pain reliever – so normally, your pain should decrease in about 10 minutes. If it takes more, it might not be very effective for you. Here’s how I would sum up Soothanol X2 in 3 ideas. Now – menthol has a really high concentration, which is great. Also – capsaicin doesn’t exist in every pain reliever, which is again great. But there’s no point praising 10 ingredients that have absolutely no effect in this cream. Now – no cream or topical reliever will ever treat arthritis. That’s because they only work on the outside – hiding the pain for a short while. Once their effect goes away, the pain comes back as strong as before. That’s why I would never recommend a topical reliever, but a supplement. Considering the quantity (1 oz), Soothanol is way too overpriced. Now – it’s true that one bottle should last more than 1 month. So I would surely not pay $50 on Soothanol, nor on any topical pain reliever. My Verdict – Is Soothanol X2 Worth Buying? Short answer: Definitely not – at $50 per bottle, it’s way too expensive. 10 of its 12 ingredients are inactive (they have no effect). Only hides the pain for a few hours. Doesn’t do anything for the cause behind. Very expensive for the quantity. Website is really unprofessional (doesn’t focus on the product but on emotional promises). Now – I don’t consider Soothanol X2 a scam, because it does relieve some of the pain. But it only does it temporary (around 2 hours) and partially. So for $50 per bottle, you can choose something way better for a much lower price. Treats both the pain and the cause behind. Improves joint health and stiffness. Using a supplement is beneficial on the long term – because your problem won’t progress. On the other hand, it will surely worsen if you only use a topical product. So make your choice wisely. Heather Tracy Foley is a Pharmacy graduate, Blogger and Author with a vast experience in health sciences. She has a particular interest in joint pain and rheumatology and spent several years studying health problems. You can find her on Pinterest or via email. My Smarter Nutrition Curcumin Review – Is It A Good Choice? Helo Heather, I used Soothanol X2 too. It helps my achy joints, I feel better but it doesn’t last more than 20 sometimes 30 minutes. That’s disappointing, then I feel the pain like it was never gone. I listened to the great things it can do but it seems like they don’t last for me. Any idea what I could do, maybe adding more than 10 drops as I do now? I’m afraid to add more because the text says you shouldn’t. But I paid so much money on this tiny bottle that I want to try everything to get some relief..
Hi Elose, thanks for letting me know your experience with Soothanol X2. I’m not surprised to hear the relief doesn’t last a lot, because that’s something specific for creams and topical products. However – 30 minutes is still very little, there should be at least several hours for a decent effect. So Soothanol’s effect is pretty weak. Regarding your question, the label recommends using “a few” drops. From what I read, that’s about 2-3, not more. Considering you’re already using 10 every time (from what I understood), I think you’re already making the most of these drops. I know you paid a lot for it, but I doubt it could work any better than this. Using half a bottle at once might irritate your skin pretty badly, so I wouldn’t recommend you. There’s no real solution I could give you in this case, sorry. You can continue to use Soothanol, but it seems to be almost useless. What I recommend you instead is to use a joint supplement – because it treats the problem from the inside (especially the cause). So on the long term, your pain might even go away. But the main thing is that your arthritis will get better. Creams only hide the symptoms for a short while, but supplement treat the cause on the long term. So that’s what I advise everyone to use – the results are much better (I speak from experience here). Really hate the smell of these drops, I can’t take it off unless I shower. I can’t shower several times a day, so I have to delay using it until I get home. Otherwise everyone will know I’m using a pain reliever, which makes me feel so old. I can feel a difference right after I use them and about 30 minutes after, but my pain returns quite short after. I’m not sure it’s worth all the work and showers, so will probably stop using Soothanol as soon as I finish this bottle. Do you recommend any essential oil I can use instead? Something that keeps the pain away for longer, like half a day? Hi Richard, thank you on your opinion on Soothanol X2. Now – that thing with short term effect is something typical for every topical pain reliever. They’re not meant to treat the pain or the cause, they’re only meant to hide the painful sensations or numb the area. Obviously, that only happens for a short time (3 hours in the very best cases, but sometimes less than 1 hour). The only downside is that these products might need a few weeks to start working – but it really depends from product to product. Some can even start working in less than 1 week (it happened to me). So my top recommendations are supplements – because they work both on the inside and the outside and I personally had best results with them. Regarding essential oils – CBD oil is probably the best choice, because it’s specially designed for pain. And don’t worry – it’s not made from the dangerous part of marijuana. Thanks again for your opinion on Soothanol X2 and hopefully my answer is helpful to you. I’m a pharmacist and a joint pain sufferer (having both RA and OA). I created this website to help people find relief and useful advice. Cure My Joint Pain © 2019. All Rights Reserved.